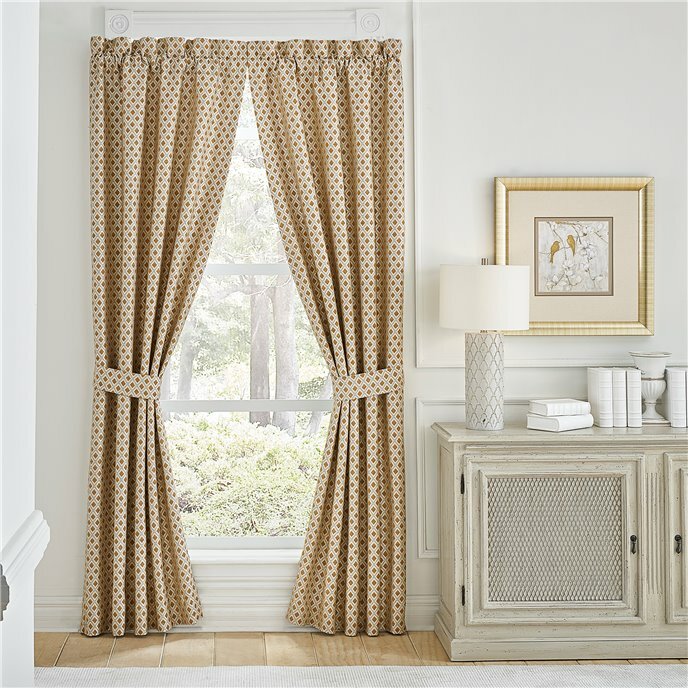 The Philomena Curtain Panel Pair features the chenille diamond with matching tiebacks. Each panel is lined with a solid white polyester lining and include encased weights in the bottom hem. Two (2) Curtain Panels, Two (2) Tiebacks, Measures 41x95 per panel, polyester fabric, dry clean recommended, imported. (2nd image shows with valance sold separately.) Manufactured by Croscill.